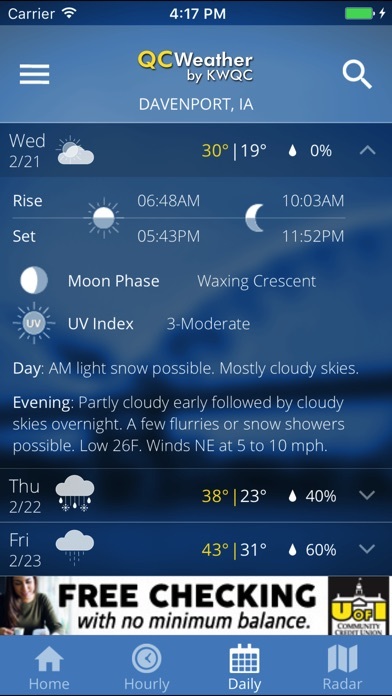 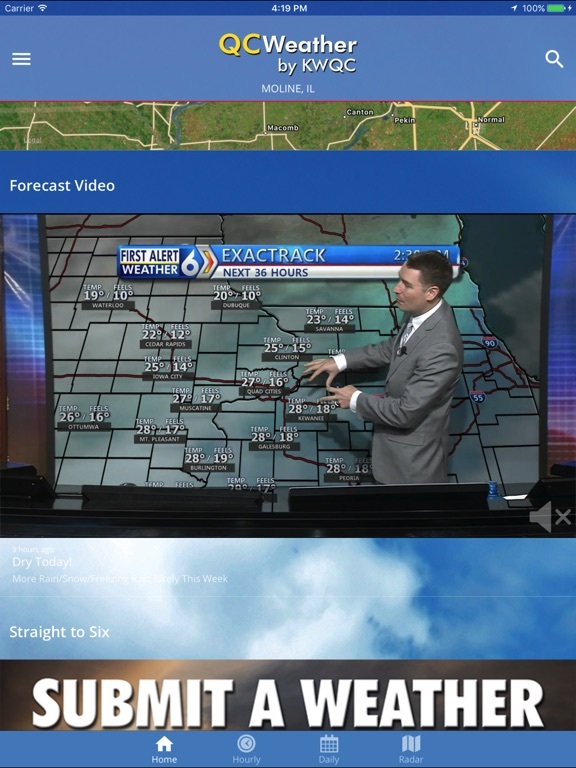 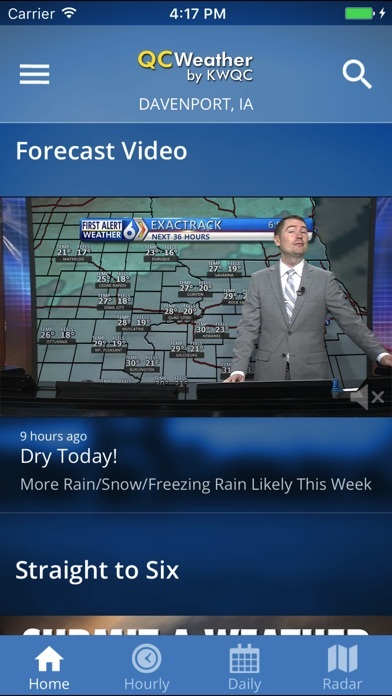 The QC Weather App, known for delivering the accuracy and reliability of the Quad Cities' most trusted KWQC-TV6 weather team, has more new features! 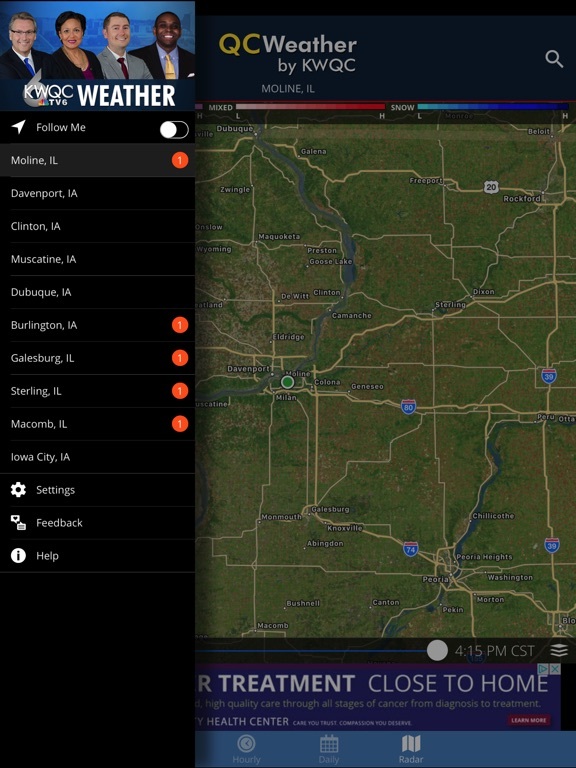 Now, you can see weather alerts, the First Alert Forecast or powerful radar with an easy-to-use carousel of choices. 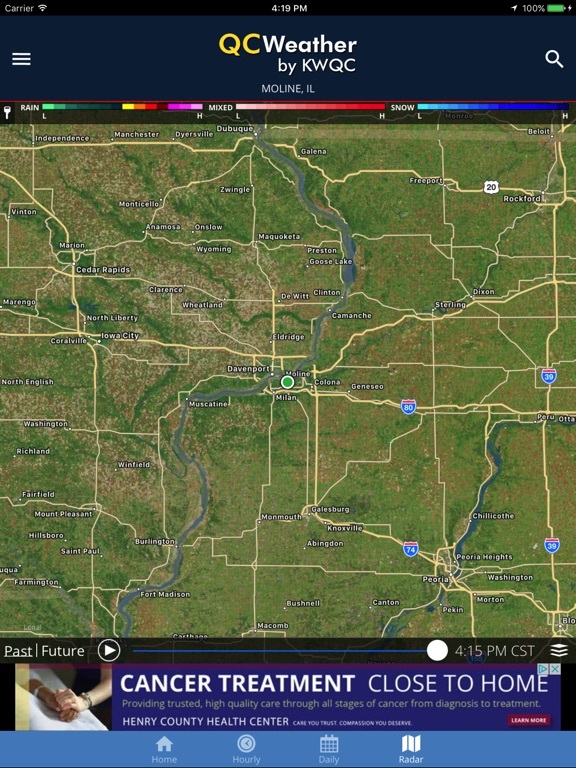 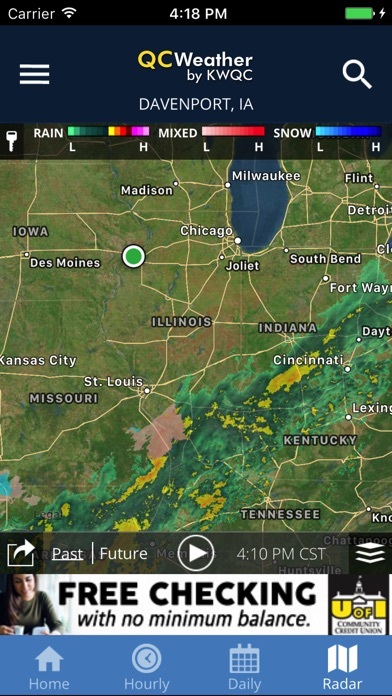 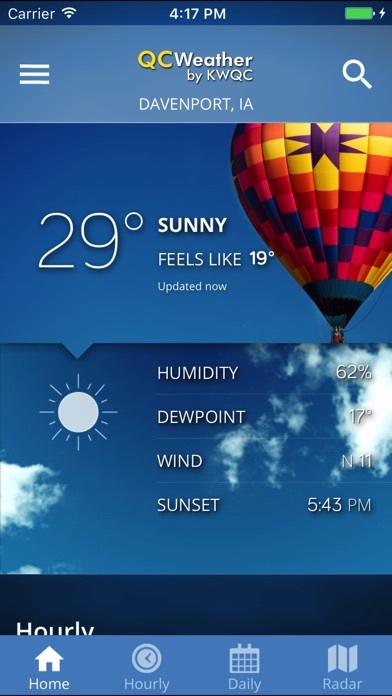 The free QC Weather mobile app delivers up-to-the-minute weather information wherever you are. 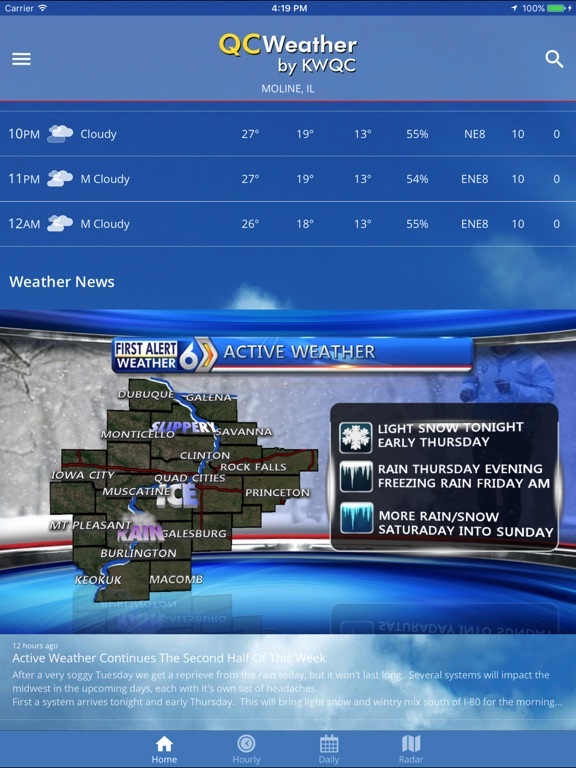 Serving Davenport, Bettendorf, Rock Island, Moline, Burlington, Clinton, Muscatine, Galesburg, Sterling, Rock Falls or anywhere in the Quad City area, the QC Weather App is for you! 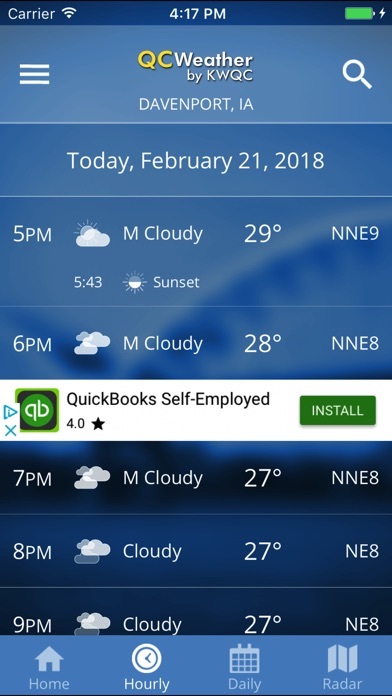 Download QCWeather to stay on top of changing weather conditions and put the KWQC-TV6 First Alert weather team in the palm of your hand.